You don't have you're own personal stack of model airplane magazines? Trust me you will if you stay in the hobby any time at all. Below are some of my personal favorites. Fly RC is arguably the best RC magazine out there. It has the latest on indoor micro airplanes, electric park flyers, glow powered aircraft, giant gasoline guzzling planes, and basically every type of RC aircraft you can think of! 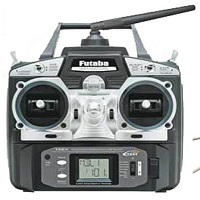 Guaranteed to keep you up-to-date with all the technological advancements pertaining to our hobby such as lithium batteries and brushless power systems. Loaded with great pictures and tons of product reviews to help you make the best choice when choosing your next airplane or related equipment. 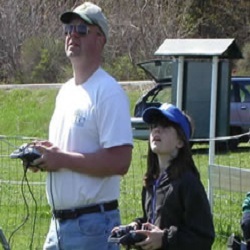 Some of the staff at Model Airplane News were around when dinosaurs were flying RC! Model Airplane News has been feeding RC addicts the information we crave with its much-anticipated monthly editions since 1929! This magazine covers absolutely everything related to RC flight with articles on construction and design, how-to techniques, comprehensive evaluations of RC related products, tips on building and flying, and articles on the latest and greatest electronics. This model airplane magazine even touches on full-scale aviation! 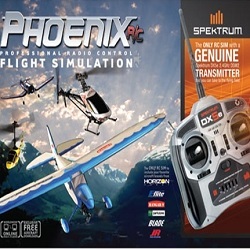 Not only does Flying Models keep you up-to-date on what's happening in the Radio Controlled aspect of model aviation, it has tons of cool and interesting articles on all types of model airplanes including control line and free flight aircraft. If you're an aviation nut, you'll definitely love this magazine. It's always giving you new ideas for that next project! Each addition of Backyard Flyer brings something new and exciting for all us who love our small convenient electric powered backyard flyers. This model airplane magazine keeps us up to speed on the ever-changing technology that continues to bring us smaller, more powerful, and better performing backyard electric flyers. This is a must have magazine for those of us passionate for keeping up-to-speed with the latest technology and products that continuously feed us addicts that next "fix" of fun and excitement for our backyard flying experience! 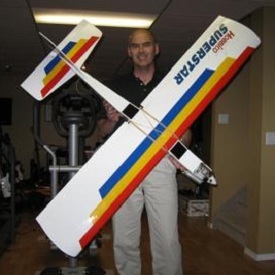 Model Airplane International is an internationally published RC airplane magazine. You will always find the very latest news including kit releases, and news of up-coming models and releases. This RC airplane magazine also has awesome modeling features and how to articles that will help to enhance your modeling techniques giving you the best looking birds at the flying field!